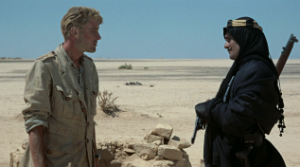 The film that defines “epic,” Lawrence of Arabia is oversized in every way, from director David Lean’s sweeping vision, to its sweeping plot (about T. E. Lawrence, the enigmatic English officer who successfully united warring Arab tribes and led them in battle against the Ottoman Turks during World War I). And then there are its groundbreaking performances (Peter O’Toole , Alec Guinness, Anthony Quinn), its panoramic vistas, its impact (what “best-of” list isn’t it on? ), and, of course, its length. Quite simply, they don’t make ’em like this anymore. Retro Revival is sponsored by Wine Enthusiast.